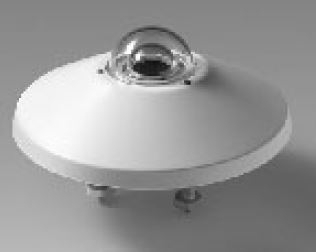 Pyranometer "secondary standard" according to ISO9060 supplied complete with shade disk, cartridge with silica-gel crystals, 2 spare sachets, levelling device and Calibration Report. Add CPM12AA4x cables with 4-pole M12 connector for connection. Can also be supplied with direct 4-20mA output, 0-10V output or with RS485 Modbus output. We also supply Class 1 or Class 2 ranges of Pyranometers. Contact us for information.